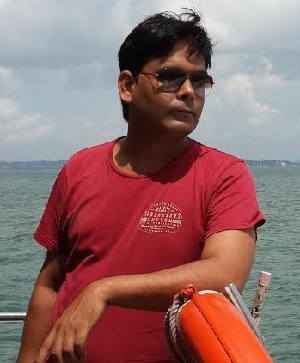 Kamal Kumar explains what six sigma means, why six sigma careers are in demand, the various qualifications and certifications that can help you get a job in your industry. 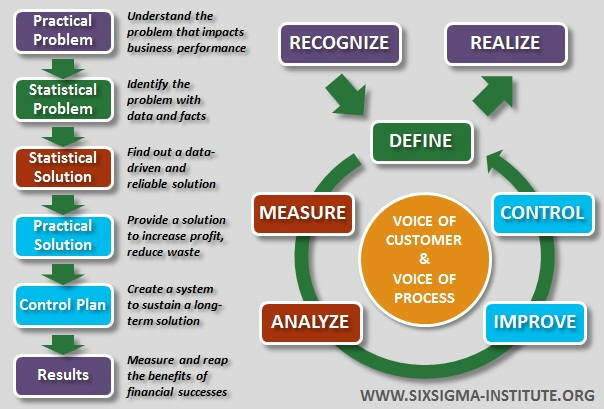 What is Six Sigma? Is it for me? Is it suitable for my industry? What are the different Six Sigma qualifications? Where to get Six Sigma training and Certification? What is Six Sigma? Is it right for me? Six Sigma- derived from a Greek word Sigma, which is often used by statisticians to denote standard deviation. Developed by Motorola, It is a way to improve the quality of their service and is now employed by a wide range of Fortune 500 companies. Six Sigma, a data-driven approach, introduces you to problem-solving approach and statistical concepts such as descriptive statistics, Hypothesis testing, regression. If you are good at mathematics, you will enjoy it. You can do the analysis on some software such as Excel, MINITAB. You can go through some introductory lessons which are free on the internet before delving into training and certification programs. Manufacturing Industry – Automotive, Pharmaceutical, Aerospace, Textile, FMCG, etc. Service Industries- Banking and Financial service, Heath care, IT, ITES, KPO, airlines, etc. Research and development industries or function of the organization. Like martial arts, Six Sigma offer several certifications, or ‘belts.’ The most commonly used and accepted Six Sigma Belts are Yellow, Green, Black and Master Black. SSYB Certification is for beginners. It explains the fundamentals of how to adopt the approach and the potential of using Six Sigma tools and methodologies within an organization. SSGB Certification holders usually work under the supervision of a Six Sigma Black Belt. They will collect data, perform analysis and solve quality problems. Those qualified will also be able to use their knowledge to improve quality on their own, smaller-scale projects. SSBB certified individuals are professionals in their field, able to explain Six Sigma philosophies and principles thoroughly. They are team leaders and have a thorough understanding of all aspects of the DMAIC model and tools. MBB certified individuals train others in the principles of Six Sigma. They will develop key metrics and a strategic direction and ultimately inform all of a business’ decisions regarding Six Sigma. It is an important question as you should expect to be awarded for the time and effort spent on learning a new skill. If your Six Sigma knowledge helps your company to solve the business problem, you can claim awards such as salary increase, promotion. Six Sigma training includes proven set of analytical tools, project management techniques, reporting methods and management tools combined to form a powerful problem-solving and process improvement methodology. Companies often prefer to provide six-sigma training to existing employees. This is done for the purpose of cost reduction by association with Six Sigma professional from outside. Training of Six Sigma to existing employees is beneficial to the company as they are already aware of company business processes. The positive point of this training is that it is free. The negative point is that it may not be as thorough as an independent program and may not be recognized by or transferable to other company. Currently, there is no one authorizing agency which holds “THE” Body of Knowledge (BOK) and a set of requirements for Six Sigma Training. The American Society for Quality’s (ASQ) BOK is probably the best known in the United States, but many others exist adding or deleting from the ASQ BOK for different emphasis. The other leading contender is IASSC, International Association for six sigma certification. It focuses on building ties and cooperation within the Lean Six Sigma community. I like the ASQ model because they require you to do real-world projects to become certified. Their test is also open-book and much harder than the IASSC; both concepts which I feel is more like the real world. Some universities and colleges offer Six Sigma training often as part of their certificate programs. The advantage is that you are face to face with the instructor and students and you have excellent networking opportunities to connect with your classmates who will be from a variety of industries and perspectives. The length of time and costs vary quite a bit and can sometimes be a drawback. I would stress finding the ones with real-world projects. There are some universities which offer online or self-paced programs. You can check out the various college websites that are accredited. I would like to mention her that knowledge or skills gained from theses online courses or self –paced courses benefit if and only if it is practiced. For instance if you take a course and not put in to practice, then after 2 week, you will forget 90% what you learned and within a month you would be like you never did the course. There is ample scope for six sigma as organization will forever need people for business improvement. Every company is suffering delays, defects and variations and this is what you learn in six sigma training and certification. While selecting any certification course, check for organization background, course curriculum, capability of course and faculty profile. This is because even in well-known training providers, some trainers are in learning mode. Recently, I found a free six sigma training source. You can check the same at statstuff.com. Good luck for your Six Sigma journey.